This solid state power amplifier is designed for reliable, trouble-free service. 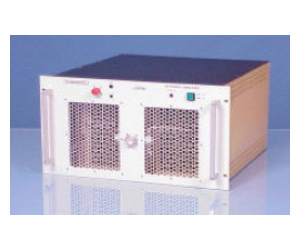 It operates in a class A/AB and includes RF protection circuits, cooling installations, and a 230 V AC power supply. The amplifier is accommodated in a 19" system housing.